Lately I've been researching homeopathic ways to address issues with my skin with botanicals, before moving up to more expensive pharmaceutical treatments that would assuredly be prescribed by a dermatologist. Botanical stores are fun places to rummage around as you can buy exactly the amount you need. Many Baby Boomers commiserate over youthful days greasing down with baby oil mixed with iodine as suntan lotion. I never did that. I am paying for the days when the local public pool in Southwest Oklahoma served as a daycare center for lucky parents willing to pay fifty cents a day. Located in the center of City Park, my parents dropped me off every morning where I stayed from 11:00 a.m. until 4:00 p.m with hundreds of other kids. Keys to wire basket lockers were huge safety pins attached to our bathing suits. The place was filthy. Mayhem reigned. I learned how to do a back flip from the side of that pool and a one-and-a-half from its two springboards, splattering face-forward on the water (the critical difference between doing a one-and-a-half and the much less-popular one-and-an-eighth dive). At least a thousand times I smacked the water, climbed out, and wove like a miniature drunk boxer back to the board. Luckier teenagers with access to boats spent their summer days water skiing on Lake Altus. Even irrigation ditches weren’t off limits and sadly a few died in them. It’s pretty hard for a youngster to keep sun screen a priority when navigating summers like that. These days I look at the sun damage on my skin the same way I do my mountain-bike scars. Our marks are a cost of doing business. I’m sure that people without scars are great people, I’m just not sure if I’ll ever completely trust them. Unlike many things in Mexico, I found botanicals to cost about the same in Mexico as the U.S. First of all, they aren’t very expensive to begin with. From online in the U.S. eight ounces of Vitamin C powder for example costs about $8 (U.S.), about the same as Mexico. An ounce of the tree tree oil runs as little as $6 online, the extra virgin coconut oil about $10, the carrier lotion about $8. The 100 capsules of Omega 3 oil cost about $10 both in Mexico and online. My purchases in Mexico totaled $788 pesos ($40 U.S). Ordering the same online with the taxes and shipping in the U.S would have been $55-60. The one thing I would take back home is barr0, their exfoliation clays. Mud from certain areas of Mexico is known for certain chemical qualities that make it excellent for exfoliation or facial treatments. In this botanical store there were four types, ranging from black, pink, brown and white. Buying botanicals in Mexico is a lot more fun though and feels more organic. Some ingredients you can buy in the quantity you want, taken from bulk from the people behind the counter who retrieve it and weigh it out for you. They give you the ingredients in an unlabeled plastic bottles or baggies, without all the packaging. You feel like you’re at the General Store in a western movie as they tally it up on a sheet of paper - that’ll be 788 pesos, Little Missy. These stores are great fun to poke around in as a tourist and as someone living in Mexico, you can find anything you use at home, and then some. 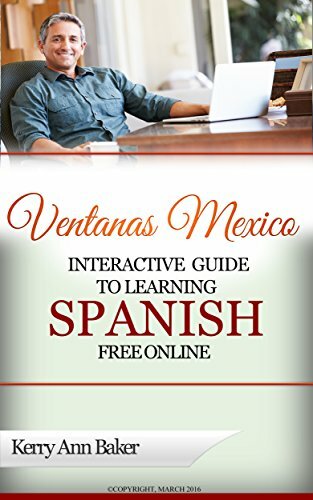 Hola - I am Kerry Baker, a partner with Ventanas Mexico and the author of two books, the first being the "Interactive Guide to Learning Spanish Free Online." If you think a Spanish-speaking country is in your future, get started today. You CAN learn Spanish later in life. The book's unique approach links you to the best free features on the web, organized by lesson plans. 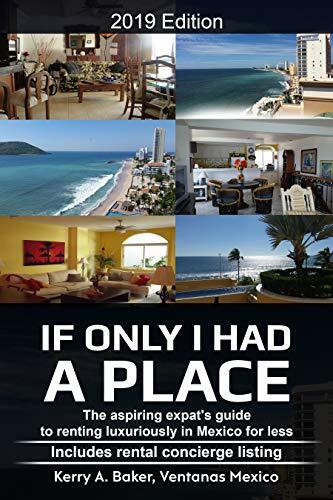 Check out how to rent in Mexico with my second book "If Only I Had a Place," recently released. The book includes a listing of rental concierges, people on-the-ground in your favorite expat destination to assist your search.